Sorry for my broken english, I will try my best. 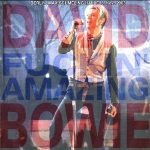 The first time I saw Bowie in concert, it was in 1987 for The Glass Spider Tour at Stade de l’Ouest, Nice, France. I missed the Serious Moonlight Tour in 1983 at Frejus, France due to lack of money but mostly due to misunderstanding from my parents about rock concerts (I was 15 years old at this time). I started my own private live recordings in 2002. On Sharp Mini-Disc (‘lossless’ quality), then on Creative Jukebox, now on Roland Edirol. To record directly on wav format was a great improvement, no time limitation and ready to burn. 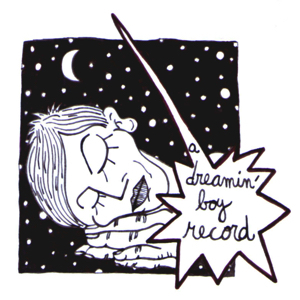 I created my own label called Dreaming Boy Records (a.k.a. DBR) and draw a DBR logo. My first recording was a failure due to unability to handling correctely the device. It was a performance from a french band called Kohann (you can listen the two albums with original line-up : Mil Bed, Don). Second recording was Tinderticks in 2002 at Espace Julien, Marseille, France and… it was a success ! I like to title my records with special names (I know, some people don’t like that). 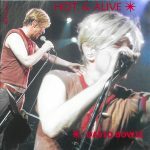 So, ‘El live en el ojo’ is know part of Tinderticks bootleg history and sometimes I saw it on bootleg lists. At this time, I had not the ‘internet community thinking’ and I sold my recordings on Ebay mostly. When I was young, such communities didn’t exist. 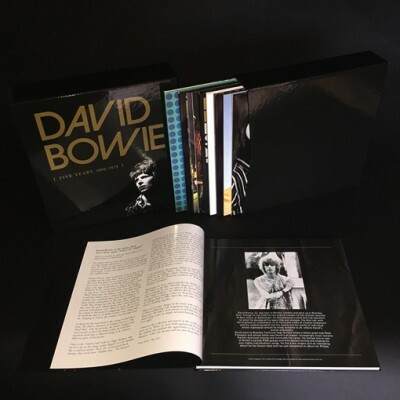 If you want to have a bootleg, you have to search and search during years and you have to pay and pay and pay ! So, it was my mind spirit at the time. Only my closed friends could have free copies. After the discovering of fan websites and listening to some point of vues from young friends with ‘internet community spirit’, I started to trade with fans and stopped to sell my recordings. I downloaded and seeded recordings from other guys on that tracker for so many years now ! So, when I read the calling about Reality tour marathon (not my favourite tour and I don’t like Reality album except 2 or 3 songs but who cares anyway ? ), I said to myself ” it’s time th share your own materials). I recorded two Reality shows in 2003 on MD (‘lossless’ quality) : Nice and Marseille. I give you the raw original masters from MD player to Roland Edirol. Enclosed original DBR logo. It’s up to you to improve sound and create original artwork. You will be kind to mention DBR Engineer : Damien Jones and orignal logo artwork by David Sarandon. If you don’t, no hard feelings.